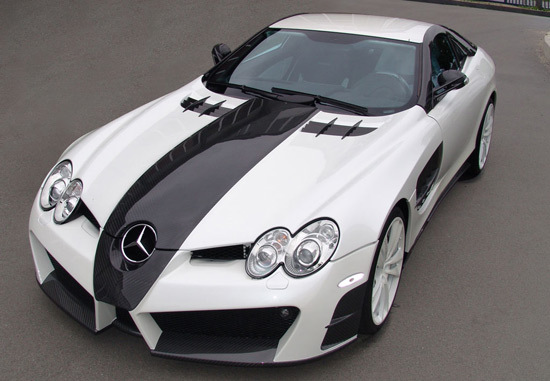 Mansory, car tuner from Germany, has revealed its second appearance kit for the Mercedes-McLaren SLR Renovatio with a two-tone, black and white, color scheme. 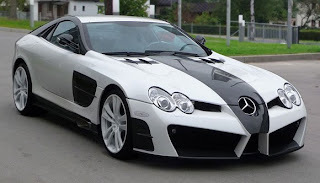 The Black and White Mansory Mercedes-McLaren SLR Renovatio is equipped with lighter components such as the ultra-light forged wheels and lighter carbon fiber body parts to reduce the weight. The front apron was designed to channel air to the intercoolers while the rear apron with an integrated diffuser provides additional downforce. 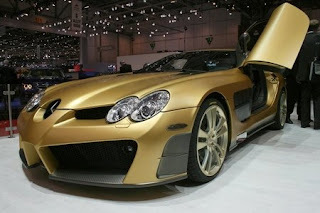 The car is also equipped with new side skirts and rear wheel arch extensions. 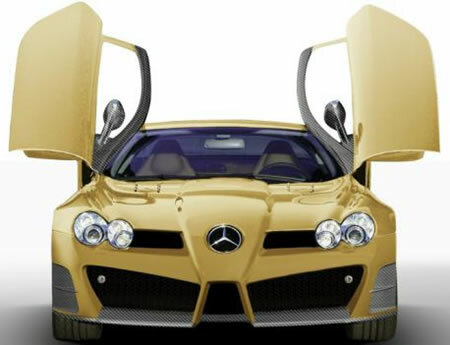 Inside, the car receives leather and carbon fiber trim and new aluminum pedals and illuminated door tread plates. The Black and White Mansory Mercedes-McLaren SLR Renovatio is powered by a supercharged 5.5-liter V8 engine that produces 700 hp (522 kW) and 650 lb-ft (880 Nm) of torque. The power increase is made possible with the installation of Mansory custom supercharger, high flow exhaust system and a reprogrammed ECU.With the power increase, the Mansory Mercedes-McLaren SLR Renovatio is two tenths faster than the stock model from 0 to 100 km/h with the top speed of 340 km/h.